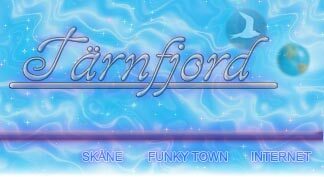 I signed on in Brofjorden 15th of March 1991 after 2 weeks on Miami Beach. I needed a little vacation after 4,5 month's on Tärnsund. I took the bus from Gothenburg to Lysekil and I took a taxi from Lysekil to Scanraff, Brofjorden. Hmm, if I remember things right we went to Hamburg and when we arrived they told us that the shore tank was full and that we could not discharge. Yes, we had time to go ashore and have a good time. 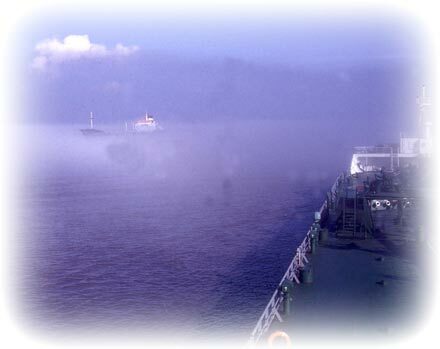 Sometimes we had to wait at the anchorage because the cargo was "Off spec". We had to wait until the receiver and Scanraff had agreed on the price. When the price was right we could come alongside and discharge. 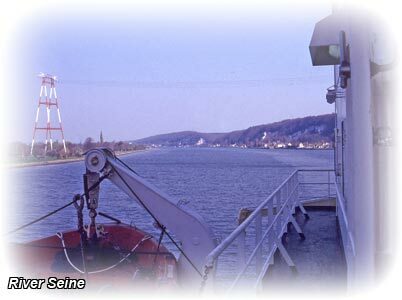 We should discharge in Rouen one time and we had to go up river Seine. 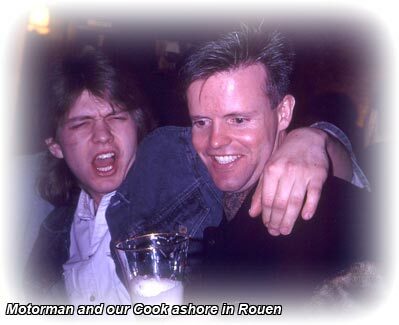 We took our pilot at Le Havre and its a few hours up the river before arriving to Rouen. Rouen is about half way between Paris and Le Havre, well, a little closer to Le Havre. There is a very high tide wave coming in river Seine. I think it's the highest tide wave in the world but I'm not sure. Well, it's several meters difference. 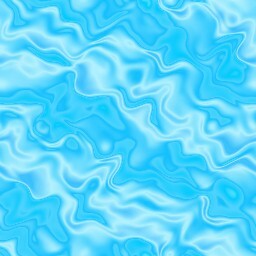 It's not a wall of water coming up the river, you can't see the wave coming. It's just that all of the sudden the water level is a few meters higher. 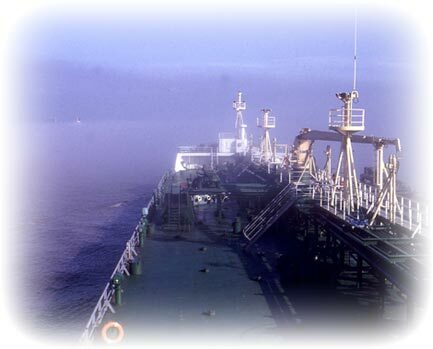 They stop the cargo operation and our engine is running and we had to take away our gangway. 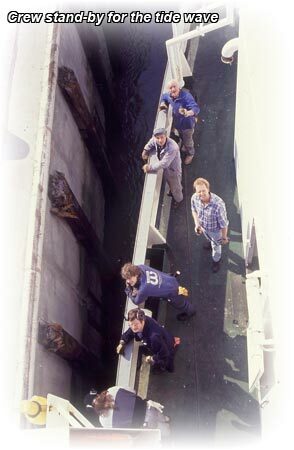 All crew stand by on deck and attending the mooring ropes. Then all of the sudden the excitement is over. You hadn't noticed very much, a lot of fuzz and little happening. A disappointment when you had expected a mountain of water coming up the river. It was spring and good weather, yeah, I wanted to go ashore with the boys having a good time. Nocturnal excitement. 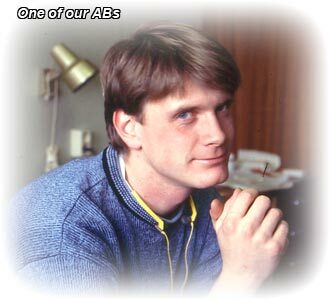 I asked one of the other ABs if he could take my watch 4 o'clock in the morning so I could let my hair down. He said that he wanted to go ashore as well. Well, we can play scissor and the stone about it. If you win I take you watch and If I win you take my. Well, he didn't want to do that either. Hmm, both of us staying onboard a Saturday evening because he didn't want to play. I asked the other AB and I went ashore for a very good night in Rouen. The other AB had to sit onboard and sulk just because he didn't want to take the chance. His chance was as big as my. We should load in Brofjorden and we had to do tank cleaning. 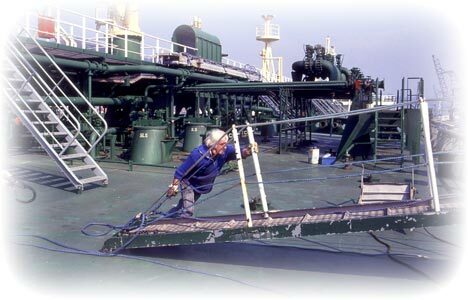 We were working on deck and when we were ready to start loading it had became afternoon and I was off my watch at 8 o'clock. 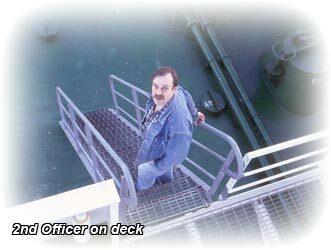 Our Cook was always ready to go ashore to have some fun. He wanted to go ashore for some fun. Lysekil, well, I had never thought of going ashore in Brofjorden before. 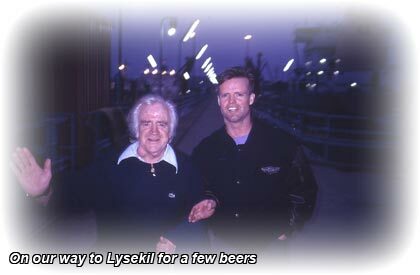 - Lysekil is a fun place, he said. - Yeah, in the summer, I said. I went ashore with our Cook and one of the ABs. We went to a pub and we had a good time. We had time for a few beers before they closed the pub. I had worked with this Cook on Tärnsund and he was one of the best Cook I had been worked with. Same class as the Cook on Aurum. He also liked to have a good time so we were ashore every time there was a chance. Same story as on Tärnsund, we were always ashore. Why sit onboard when you can have a good time? And we were young so no need to think about hangovers. I was running my usual bet with him. I should pay him 100$ every time he caught me eating. Hmm, I lost a few buck but no weight. But those bet makes it a little more exciting to have you snack. You had to keep an sharp look out or you had to sneak away some place secret for you snack. Well, everything is coming to an end and it was soon time to go home. 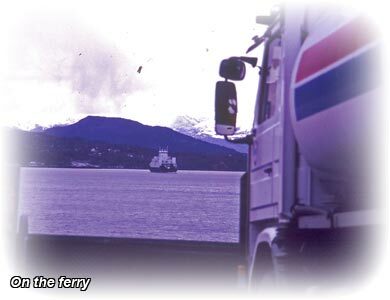 I signed off in Mongstad 22nd of April 1991. We got a taxi to Bergen. 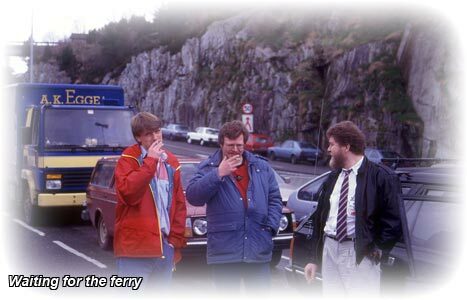 It's a long drive from Mongstad to Bergen, it included 1 ferry trip. At Bergen airport we had time to take a beer before the flight. 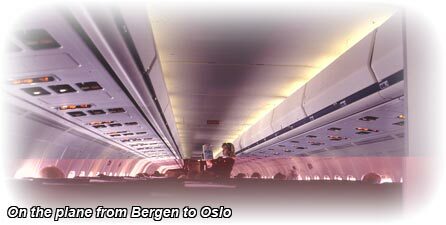 From Bergen we got a flight to Oslo and I should change flight in Oslo for Gothenburg. I was sitting with the other AB in the bar at Oslo airport. We had a few beer and became brave. Yes, we turned in to regular daredevils. - Lets change our flights, we take a morning flight and stay overnight in Oslo. I said. - OK, let's find a place where we can put our luggage over night, he said. Said and done. We had a good night out in Oslo. I don't want to tell you how I felt on the flight to Gothenburg, but there are no million in 1st price if you can imagine. Especially when I woke up on the floor at a gas station close to the airport. And boarding the flight in Oslo and I asked for water first thing. - No, I will not give you any water. So I went back in the galley and I helped my self to some water. Yes, this is a flight that I will never forget. well, back in Göteborg and we were soon off to Amsterdam to celebrate Queen's Day.